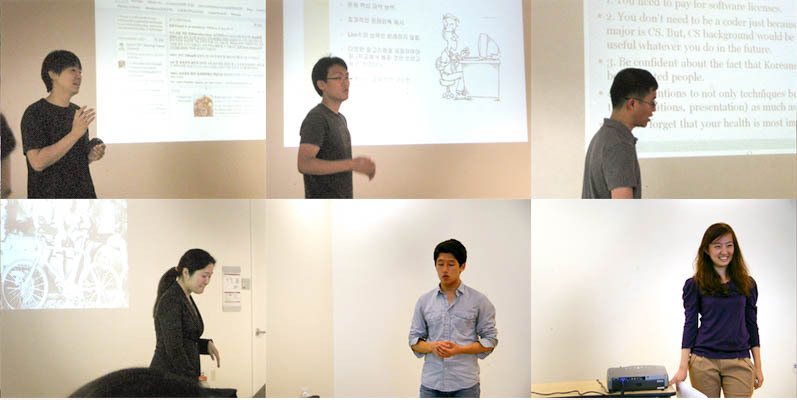 I ran a design thinking workshop with multiple Stanford staffs and students for 40 Software Engineering students from South Korea. They had been selected by National IT Industry Promotion Agency (NIPA), which is the government agency that educates top-notch students in innovation and design thinking. In Korea, the salary of postgraduate CS students is very low compared to people who studied business or other social sciences. Thus, younger generations do not want to be programmers and believe that Computer Science is a boring major which only encompasses coding. The purpose of this workshop was to empower engineering majors to be creative and to have pride in their career by providing the opportunity to be a design thinker.